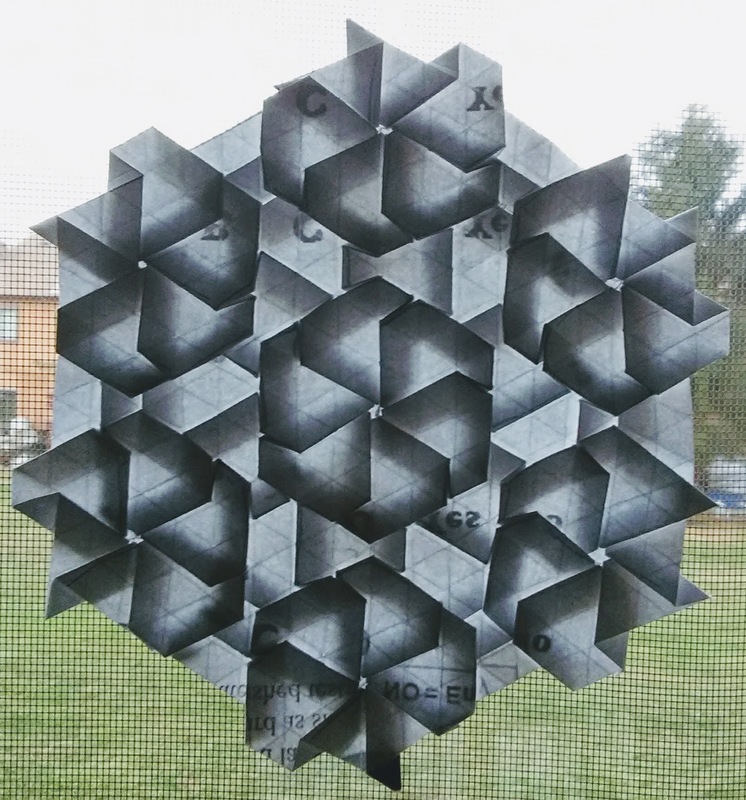 Here's a neat origami tessellation that I created. The back of each 'flower' is a small hex twist. Then I went to the other side of the paper to do the petal shapes. It was a little difficult as all the axes didn't flow together nicely. So there were some inversions of folds involved to make them all play nicely together. It worked out well in the end though. I'm quite pleased with the results. The original concept was created on a small grid in a single module like the unit shown at center. That single module was flipped and mirrored as necessary to facilitate creating the ones which surround the center. I only left as little space as was absolutely required between each iteration because I wanted to fit as many repetitions as possible into the 32 pleat grid. .
Where the folds for the repeating petals did not line up I was forced to get creative and do some reversing of the pleats. To make everything lay flat any conflicting folds were a combination of a standard fold and an inversion. Basically I just turned the folds inside out where needed to make everything work well together. 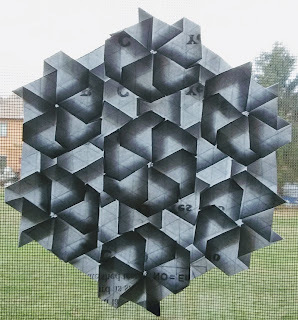 It all came together in the end for a pretty cool piece of origami tessellation. 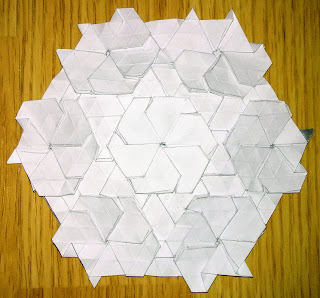 I adore doing other artists' tessellations. Figuring out the process and following the patterns. Still, there's something special about working out your own designs.